If coffee, art, food and music had a home in Cairns, it would be Caffiend. This mega hotspot is a favourite for many locals and bursts at the seams most weekends with hipsters, post-yoga-goers and lots of other regular, just-as-rad people. The uber cool cafe prides itself on exceptional coffee proudly supporting the local Tattooed Sailor Coffee Roasters and describe their food as ‘unapolegtically seasonal’. The food looks as good as the art on the walls and the flavours pack a real punch too. Smith Street Cafe began with humble beginnings in 2013 when owner Ainsley White returned to her hometown Cairns after travelling. The Cairns North cafe has since evolved from it’s small, yet busy ‘grab-and-go’ shopfront, expanding due to popularity into the vacant shop next door. Since then Ainsley has become a local eco-warrior making it her mission to be completely environmentally friendly, introducing 100% biodegradable cups (lid and all). The cups are made of bamboo, wheat and straw farm by-products and lined with corn flour instead of plastic. But it doesn’t stop there, she’s determined to get other local operators on board with her side project “Cafe Conscious” – a business that has gained a lot of interest and is dedicated to eco-friendly packaging for cafes and restaurants. If that’s not enough reason for you, the coffee is amazing with an absolutely mouthwatering, locally sourced brunch and drinks menu including plenty of options for vegans and egg lovers alike. It might be tucked away nicely in one of Cairns’ thoroughfare arcades, Oceana Walk, but this little gem shines brightly on the coffee scene. Its strong and delicious fair trade blends are served with a smile from the passionate folk who work here; and if the blackboard behind the counter is anything to go by, their customers are seriously loyal to the bird. Grab a sweet treat from the delicious selection of goodies that line the bench tops – the fig and walnut bread, doused in local honey is to die for. But wait there’s more, fringe city-goers are able to grab a steaming cup from their second store in Bungalow meaning it’s even easier to get your Blackbird fix. The warm, tropical climate of Cairns doesn’t always lend itself to the desire for a hot coffee. Luckily for you Annee’s offer a refreshing alternative to your usual steaming beverage – deliciously cold, Vietnamese iced coffee. Open Wednesday to Sunday at the Grafton Street entrance to Rusty’s Markets, this funky shop combines customary Vietnamese brewing process with modern cold brew methods to create a drink sure to knock your socks off. The bubbly staff can help you decide between the traditional Caphê Sua Da with condensed milk, creamy chai or lightly spiced turmeric latte with coconut before you venture into the weekend bustle of Rusty’s. Life’s not only about fulfilling your caffeine cravings, you want to do it in style… and with a view. Set on the waterfront of Trinity Inlet, you can choose to sit and bask in the sun while watching the boats go by, or catch a cool breeze in their cleverly designed undercover area. 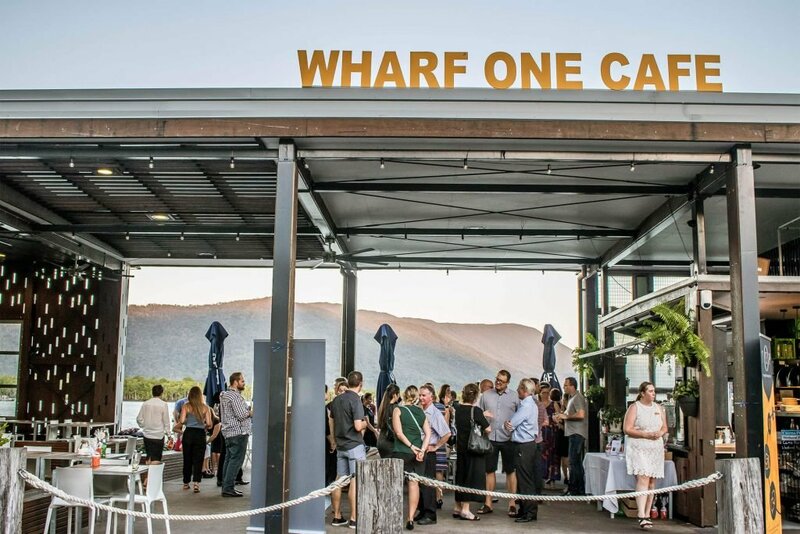 Wharf One is dedicated to sourcing local produce from their Mourilyan grown Mandella Coffee and Cairns wood-fired bread through to Mungalli Dairy products and seasonal fruits from across the region. If you were intending on just grabbing a coffee you may need to rethink your plans once you glimpse their tasty menu. For those with little ones, the epic Fig Tree Playground just outside is the treehouse your kids have always dreamed about; so sit back, relax and savour your cappuccino while the kids play. Everyone can relate to that fresh aroma of coffee first thing in the morning, even when you’re not a coffee drinker, there’s no doubt about it – it smells good. But who says that sweet smell has to finish in the AM? And who said it can’t be a little fun? If you prefer your coffee shaken not stirred, head down to Salt House on the Cairns Marina. The combination of Stoli Vanilla, Tia Maria, espresso and sugar syrup is a sure pick-me-up whether it be for a boozy breakfast, a sunny lunchtime treat, or for a starter for an evening on the town. Pair it with some of their oh-so-good food and you won’t have to move all day – now that’s the life. There’s something about coffee and laneways; does it make it taste better? Probably. Such is the case with Sing Sing Espresso with coffee so good it will make you want to sing (sing). Sit back with a creamy, velvety cup of your favourite cafe creation – made to perfection, of course – while contemplating your day ahead. Word of caution, you have to order something to eat; their simple, yet tasty menu is completely irresistible. Edge Hill – the trendy suburb of Cairns at the foothills of Mt Whitfield – full of character, places to dine and home of the Cairns Botanic Gardens. A wander through the main street Collins Avenue may see you overwhelmed by choice but rest assured you will not be disappointed with Ten One Twenty. This arty cafe dishes up some of the best coffee in town accompanied by fresh, healthy and drool-worthy food. Surrounded by quirky art and murals by local artists, if you were thinking about getting a takeaway, forget it – you will definitely want to chill out with your flat white in hand and admire the tiny details of this shop. It’s all about passion for the creative folk at Sipping Duck. 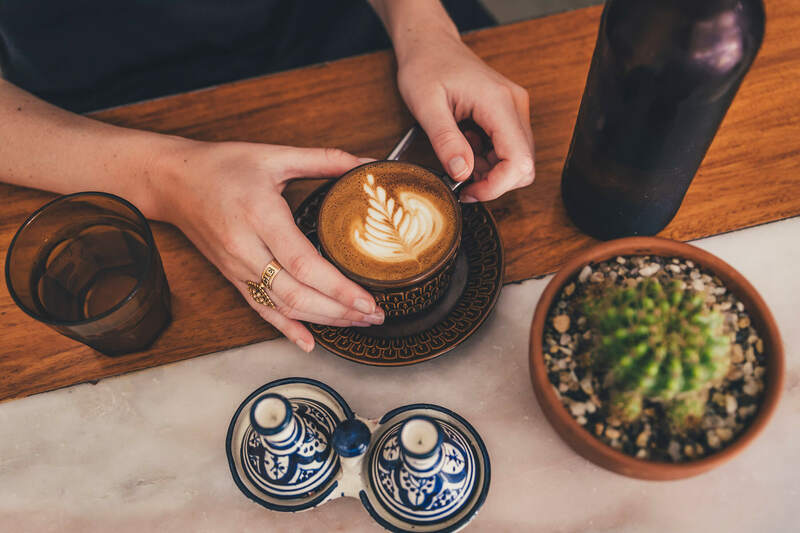 They roast on site specialising in high altitude, specialty coffee but mostly just make a good ol’ strong cup of your favourite hot beverage with a twist; completely instagrammable latte art. Cold brew lovers can also rejoice with a range of choice, including their famous and exclusive sparkling brew. If you’re after dessert in a mug, pick from dark, milk or spiced hot chocolate or take it up a level with the decadent Submarino – real chocolate with steamed milk. Keep an eye out for Sipping Duck at their two locations, Stratford and Portsmith, or sample their blends at many cafes and restaurants around town. By now you could be questioning whether you’re in Melbourne or Cairns with the abundance of laneway cafes. Set in quaint Village Lane this specialty espresso and brew bar is a locals delight. Despite being somewhat tucked away in the heart of the city, there’s a constant flow of people after a steaming mug of hot, strong coffee. They are a no-nonsense coffee house with no milkshakes, no syrups and no babycinos; just quality coffee. For those wanting to learn the art of coffee making, The Chamber Room also runs a Brew School offering a range of classes for varying skill levels. Get active, go shopping or explore the natural attractions around Cairns. Throw on your best activewear and prepare to stretch your legs as you venture into the natural playground of Mount Whitfield. You’ll feel worlds away from city life as you delve into the depths of the rainforest, despite being less than ten minutes from Cairns CBD.